GRENADA – Officials from Hankins Lumber Company announced this week that the company is reopening its facility in Grenada following a 15-month closure due to the downturn in the economy. The project represents a $1.5 million investment and is creating 120 jobs, many of which will be filled by former employees working at the facility when it closed. A producer of southern yellow pine products, Hankins Lumber Company produces and supplies a variety of lumber and related products for commercial and residential clients throughout Mississippi, as well as the country’s retail and wholesale markets. The Mississippi Development Authority (MDA) provided assistance in support of the project to refurbish a rail spur that services the company’s site. Grenada County provided assistance for the project, as well. 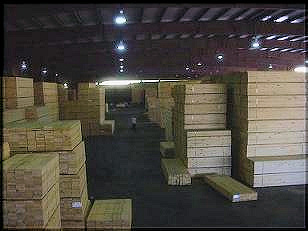 Headquartered in Grenada, Hankins Lumber Company began operations in 1972. The company uses southern yellow pine from throughout the state of Mississippi to produce its dimension lumber and boards.